Some old recordings are rare for a reason. When I was a kid in the 70s, like lots of other boys my age, I collected beer cans. And we quickly learned some basic tenets of the hobby. An old Busch can wasn’t usually worth much, even though it had a fairly nice full-color Alpine chalet painting on the can. Aesthetics aside, the fact remained that since those suds were cheap and popular, the cans could be found everywhere. They simply weren’t highly sought after by collectors. Music is sometimes the same. Unless one is an aficionado of the Incredibly Strange, there are some items that simply aren’t worth tracking down. But there are other cases. To further riff on the beer can metaphor, some regional products were quite good, but failed due to distribution problems. 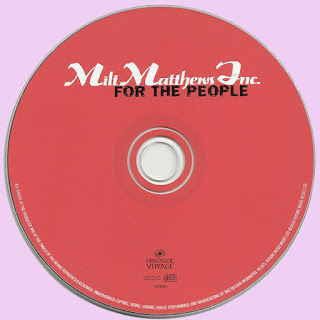 Which, finally, brings me to an album by Milt Matthews Inc. called For the People. Originally released on the tiny Catalyst label in the USA, this second album by the group sank in the marketplace with nary a trace. For reasons having mostly to do with the uniqueness and quality of the sides therein, UK label Ember licensed the album for re-release in England. They slapped new cover artwork on it — nothing special, but superior to the original — and put it out in 1971. It sank without a trace. Again. Which was a shame, since it’s a pretty solid album. The period from around 1965 to the early 70s was filled with so much of value, so much groundbreaking and worthwhile music, that there simply wasn’t any practical way to assimilate it all. The mind boggles at how much quality music never got a hearing. 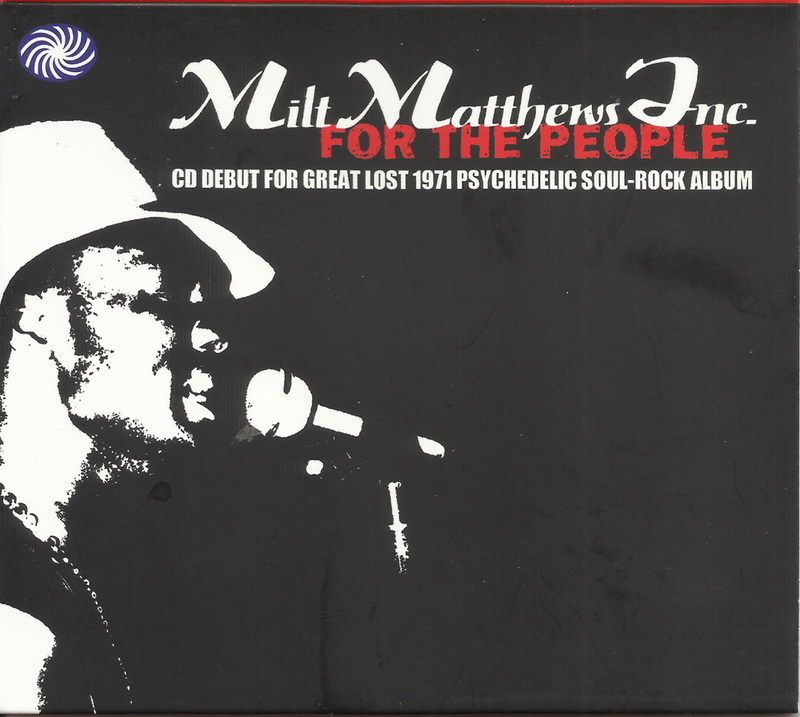 The archive-minded folks at Fantastic Voyage think so, too: they’ve reissued the album so that modern-day listeners can avail themselves of Milt Matthews Inc.’s music, a prime example of how-did-we-miss-this. So, to the music. At its core, the music on For the People is soul of the turn-of-the-decade variety, but the arrangements are richly informed by the best trends of the era. While that funk-jangle-chunka-chunk so popular on soul albums of the day is omnipresent, there is also an awful lot of fuzz guitar on the album. 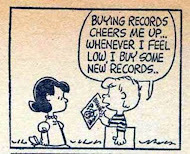 In fact there’s as much fuzz as you’d hear on a record by, say, Blue Cheer or the Electric Prunes. And said fuzz is well-integrated. Milt Matthews wrote some strong tunes, but in some ways the most interesting numbers on the disc are the covers. Matthews actually went to the trouble to enlist the services of arranger Bert DeCoteaux for the strings on his cover of BB King‘s “The Thrill is Gone” (DeCoteaux did the arrangement for BB as well). But the vacuum-tone leads all over the song owe more to acid-rock and psychedelia than to the Beale Street Blues Boy. 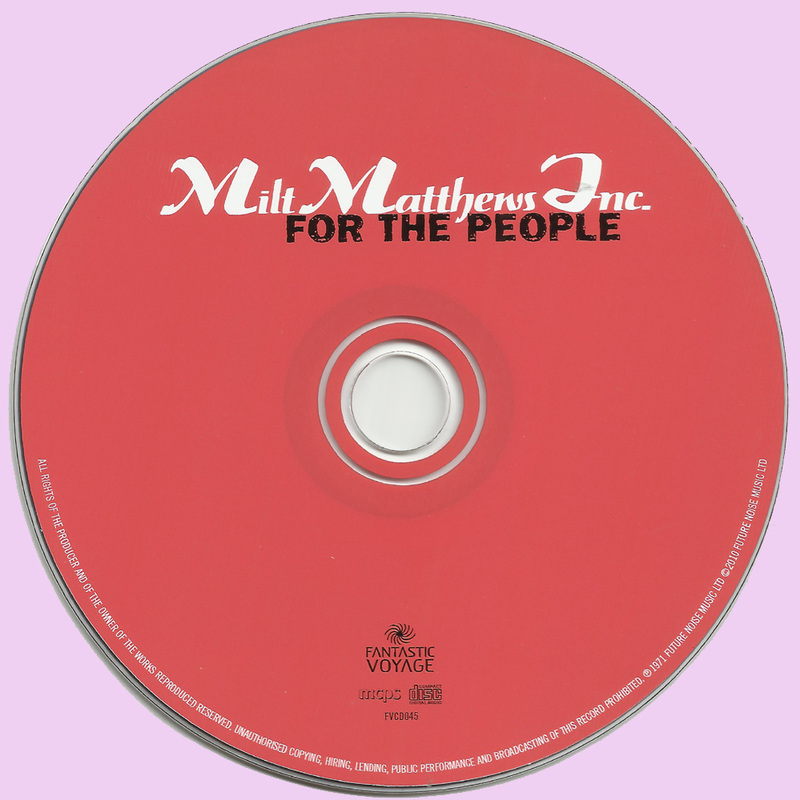 Matthews leads the band through the song with ad-libs like “I believe I’ll sing that verse again,” suggesting that (a) the band performed live in the studio or (b) he wanted to give listeners that impression. This reviewer votes for the former. The strings and the lead guitar fills play effectively off one another, creating a head-nodding groove. A cover of the Beatles’ “A Hard Day’s Night” reinterprets the song in a manner stylistically related to some of what was coming out of Stax (track down the 2008 compilation Stax Does the Beatles for more in this vein). The fuzz is laid on more thickly than was the wont of, say, Steve Cropper. A string chart adds a lot here as well: there aren’t all that many successful examples of melding of soul and psych. Matthews’ original tunes are good, too. “Can’t See Myself Doing You Wrong” features hypnotic riffing seemingly influenced by both Traffic and Led Zeppelin. But a soulful female chorus moves the song closer to the sort of thing Isaac Hayes did so well. “O Lord (You Gotta Help Me)” is sort of a soul corollary to what George Harrison was doing at roughly the same time on All Things Must Pass. The riffy “Runaway People” features lots of wah-wah guitar and piano, striking a note redolent of Sly and the Family Stone. The gospel/soul slow-jam “That’s the Way I Feel (Like a Burning Fire)” would merely be a good tune of its type were it not for the searing fuzz leads — did I mention there’s fuzz all over this record? — that catapult it into something greater. “Disaster Area” is good, too; it was via that track’s inclusion on Fantastic Voyages’ Looking Toward the Sky comp of Ember tracks that this reviewer discovered Milt Mathews Inc. In 1971 there was still a lot of cross-fertilization going on in music. It wasn’t unheard of to dig both Jimi Hendrix and Joni Mitchell. A singer in the Otis Redding style like Milt Mathews could imbibe the best influences of acts like Blind Faith and apply those influences to his own sound. Which is exactly what Matthews and his band do on the cover of “Presence of the Lord,” the album closer. Matthews brings the song’s gospel feel — already clear — even more to the fore. Fuzz and wah add to the festivities with a long, searing solo. Good start in this hot August's month Marios,another pearl to discover.Thank you for these good and rare moments of pleasure. Hi What is your password?